Doesn’t go flat. I love this pillow. The unique design of the Z Shoulder ZONED GEL DOUGH Pillow offers ergonomic comfort for side sleepers. The memory foam is infused with gel beads that help to regulate temperature for a cooler sleep environment. A great option for people who sleep hot, this premium pillow offers excellent temperature control, pressure point relief, and head and neck support. I searched high and low for a really good pillow since I suffer from neck, shoulder, and back pain. I thought this was a bit pricy but after reading reviews and everything else I could about this pillow, I thought I'd take the chance. Best decision ever. Totally worth every penny. This has got to be the most comfortable pillow I have ever come across. Neck pain is gone and this eases the pressure off of my shoulder since I am a side sleeper. Stay's cool throughout the night as well. Just got this pillow and I love it! It stays cool and is great for side sleeping. I need another! 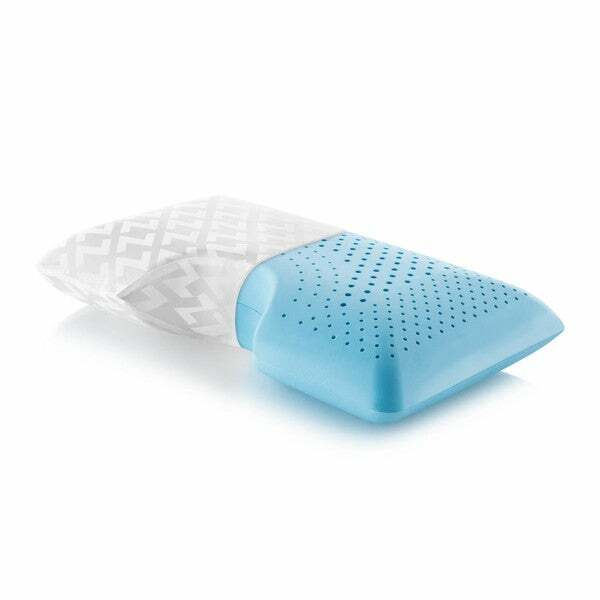 It has a great removable cover that can be easily washed. Great Pillow Sleep on my my side works Great I Sleep a lot better. I bought this for my boyfriend as he always sleeps on his side and he's always hot. He is loving this pillow! It keeps him cooler, positions him better to lay on his side, and I think he's pretty comfortable as he's even started snoring a tad less! That sounds like 3 wins to me! Very comfortable; Best sleep ever! The picture of this pillow doesnt really show the shoulder cutout. The pillowslip doesn't stay on very well. Pillow is semi comfortable. Expensive as well.